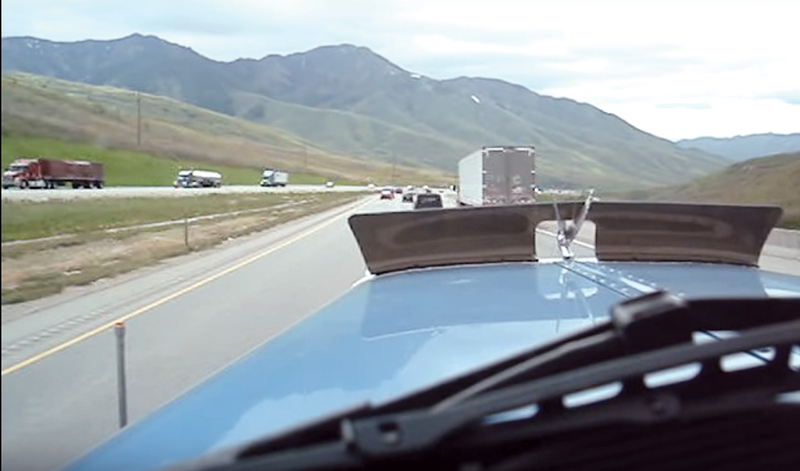 The Utah Department of Transportation plans to install a westbound truck-climbing lane to a steep portion of Interstate 80 about 15 miles east of Salt Lake City. The climbing lane will run for approximately 3 miles, spanning from a mountain pass known as Parley’s Summit to Jeremy Ranch, a community within Summit County. I-80 is a major route that runs from San Francisco to Teaneck, N.J. According to FHWA, claims seeking judicial review must be filed before March 5, 2018. Brandon Weston, director of UDOT’s Environmental Services Division, said the primary purpose of the project is to reduce truck congestion on the route. Construction of the climbing lane is scheduled to begin in the spring of 2018. “It’ll allow for slower trucks to get out of the main flow of traffic,” Weston said. In addition to reducing congestion, the project is also meant to limit accidents involving motorists and wildlife, according to FHWA. Weston said the project involves the installation of a wildlife crossing over I-80, which will basically serve as a bridge for the numerous deer and elk that populate the area. A few miles of fencing on either side of the bridge will direct animals to the crossing point. Ian Peterson, chief operations officer of Pride Transport, said the climbing lane will be a welcome addition. Pride, based in Salt Lake City, operates a fleet of 520 trucks and specializes in reefer deliveries. Peterson said the company primarily hauls groceries and produce. Pride took part in a test drive of the canyon a few years ago, and Peterson said more lanes would improve traffic on the mountain pass. Commuter traffic in the area has grown in recent years as residential developments have expanded in towns surrounding I-80, such as Jeremy Ranch, Park City and Heber City. Peterson said residential expansion has crowded the route, which is mostly three lanes in each direction, but widens to four in some uphill areas and narrows to two in some downhill segments. Godfrey Trucking, based just outside of Salt Lake City in West Valley City, has a fleet of 115 trucks that specialize in moving general commodities and furniture. According to Scott Godfrey, president of the company, a truck-climbing lane will be beneficial in an area that is developing quickly. Utah is the fastest-growing state by population, according to the U.S. Census Bureau.